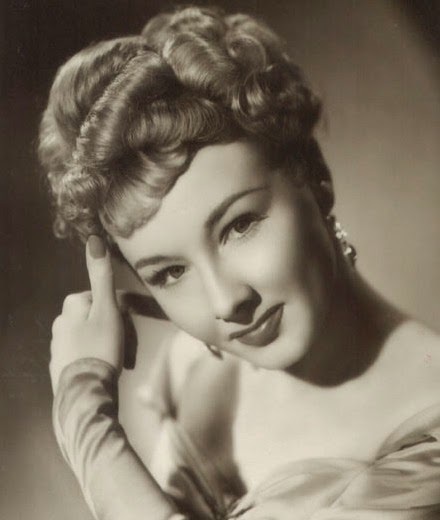 Joan Dowling was born on January 6, 1928 in Surrey, England. Her mother was unmarried and Joan never knew her father. She was primarily raised by her grandmother. Joan dreamed of becoming an actress but she was too poor to afford acting lessons. Despite her lack of training she began auditioning and made her stage debut when she was just fourteen years old. In 1945 she got rave reviews for her performance in the London play No Room At The Inn. A talent scout saw her and offered her a long-term movie contract. 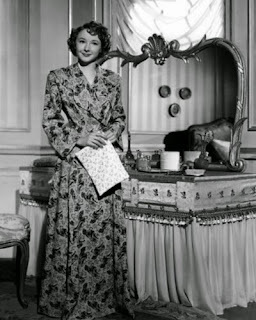 Joan's first film role was in 1947 comedy Hue and Cry. On the set she met actor Hugh Fowler. They fell in love and were married on September 15, 1951. 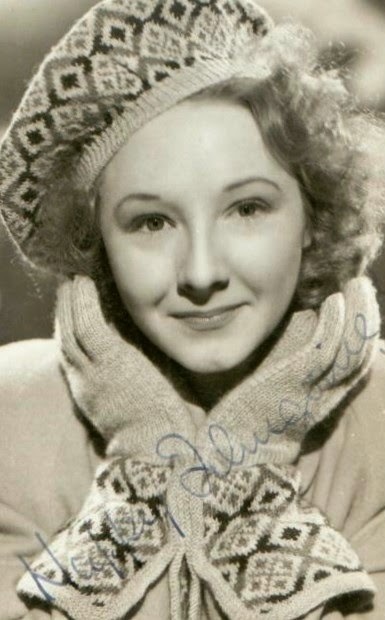 Joan appeared in the British films The Magic Box and Women Of Twilight . She was usually cast in "cockney" roles. 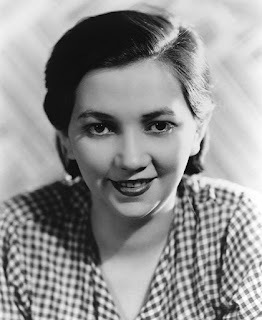 Joan also worked on the radio and appeared in several more plays. 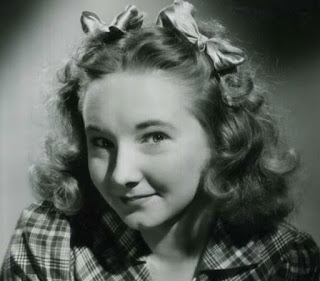 In 1952 she starred in a London stage production of Robinson Crusoe. Joan was heartbroken when she discovered her husband was having an affair in the Spring of 1954. The couple separated and Harry moved in with a friend. 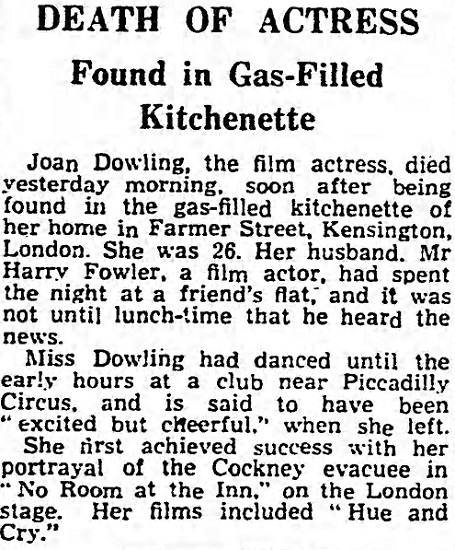 On March 31, 1954 Joan went dancing at a nightclub. Her friends said she was in an "excited but cheerful" mood. 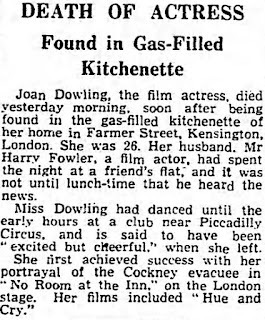 After returning to her Kensington apartment Joan committed suicide by turning on the gas in her kitchen. Her body was discovered the next afternoon. She was just twenty-six years old. The official cause of her death was suicide by asphyxiation. Joan was cremated and buried in London, England. Some of her relatives believe that her death may have been accidental. They think that she was only attempting suicide to scare her husband. Hugh Fowler eventually remarried and passed away in 2012.